XConnect lead the way in delivering Federation based solutions that enable cross-network delivery of IP services such as Voice, High Definition (HD) Voice, Video and Unified Communications (UC). Powered by an award winning suite of scalable and secure ENUM Registry and hub-based IPX interconnection technology, XConnect resolves the challenges of next generation (NGN) interconnection by enabling seamless interconnection and interoperability between telecommunication networks and services. Headquartered in London with offices and points of presence in the USA, Europe, Africa and Asia, XConnect provides services to over 140 customers including fixed, mobile, OTT, Video Conferencing and UC service providers in more than 70 countries. A carrier-neutral, multilateral Video Federation that securely interconnects disparate video networks. VIE streamlines the technical and commercial aspects of interconnecting to multiple video networks to provide seamless cross-network video conferencing and calling. Resolves the complexities and challenges of addressing, routing, and policy associated with Inter-Enterprise video communications within Video Service Provider networks. 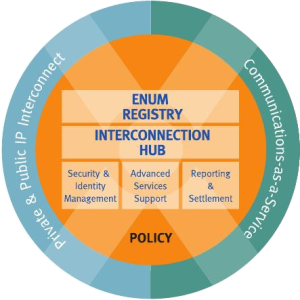 UC Vendor specific Federations that extend the reach of Unified Communication services beyond Enterprise boundaries.